Setting up a romantic camping in the forest through the night is an extraordinary and special experience that everyone shouldn’t miss out. Sitting by the flickering flame, dancing and laughing with friends are good ways to strike up a relationship and also strengthen the friendship. 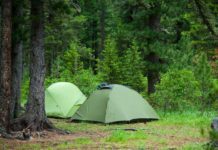 However, camping in the night creates some inconveniences, especially problems relating to the light. 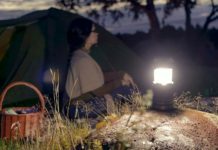 The lantern is a must-have item for the campers and hikers but not many people know how to choose an appropriate lantern. 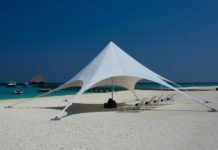 So in this article, I’ll review some products that I used and give you a piece of advice on how to choose the best camping lantern. Features: LED flashlights with 6 AA Batteries, Ultra bright, Carry 360 of luminous light, 90-day return refund guarantee, 2-year warranty and lifetime supported. Pros: Actually, I was really skeptical about its quality when I ordered it because its price is quite expensive compared to other types on the market. But when I set up a tent during a night, it shocked me by its wonderful light. 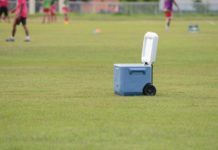 What is more, it’s easy to use, durable and easy to bring on the go, taking little space. Cons: Its only drawback is that it isn’t water-resistant, which means you can’t use it when raining. 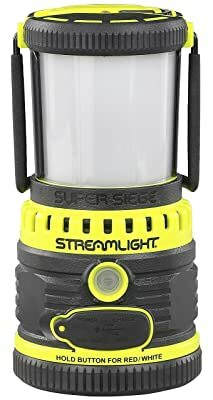 Features: Water resistant, Shockproof, 600 lumens, Ultra bright LED lantern, Having 3 lighting modes: low, flashing strobe and high, Over 100,000 hours of use. Pros: It’s absolutely worth my money. I’m not sure about its longevity because I just bought it 3 months but I really fancy its nice light. In addition, it has 3 brightness levels for me to adjust as my demand. I’ll definitely buy an extra lantern for emergency lighting. 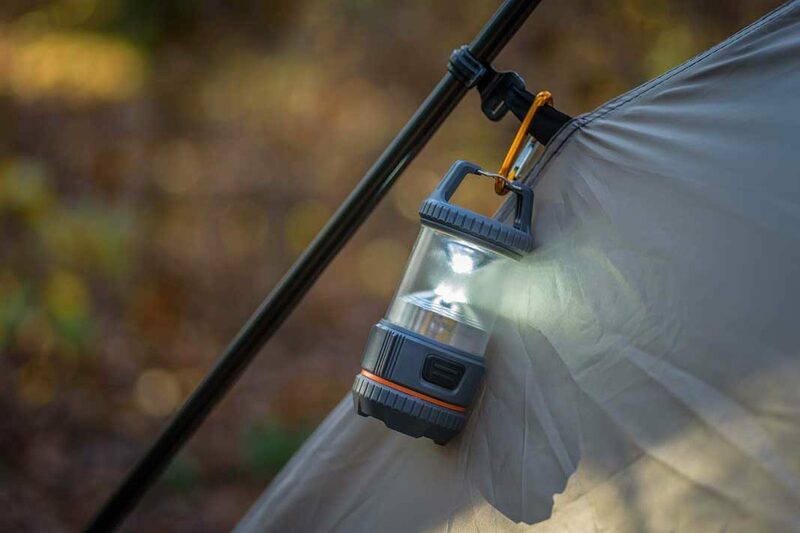 It’s reviewed as one of the best camping lights for tents. Cons: It’s smaller than I imagined. I found it a little bit tricky when getting the arrows inside the battery compartment lined up accurately. Pros: It’s a well-designed, well-built and robust lantern. It is covered in rubber so the strange handle is great. You could easily hang it on the tree branches, camp restroom, etc. Cons: I bought an 1100-lumen lantern but I can’t tell the difference in brightness between it and another 400-lumen one I bought last year. Pros: Because of its magic transformer, it could be adjusted to any space. Furthermore, it could be charged directly from the sun or USB port. It has a smart protection chip to protect the lantern from overcharging, hence, guarantees safety in use. Last but not least, it has three light levels to adjust to our demand. 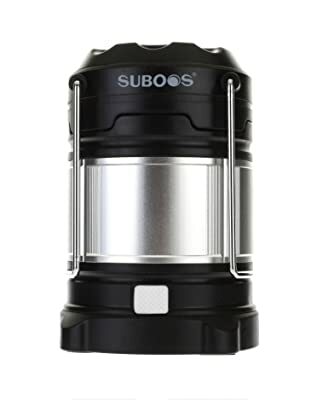 I’ll certainly buy another SUAOKI lantern as a backup. Overall, I’m totally convinced by it. 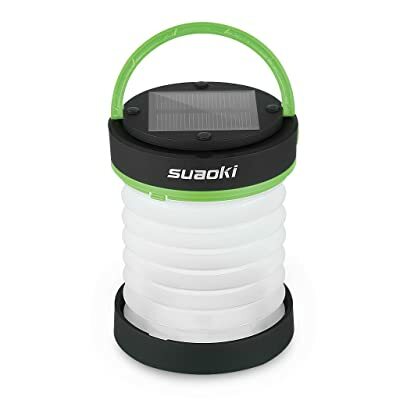 Honestly, it’s one of the best solar lanterns that I’ve found in 2018. Cons: There’s nothing to complain. Pros: I notice that I’m falling in love with lanterns of SUAOKI brand. Its size is fit to hang in my backpacker tent when I’m trekking. 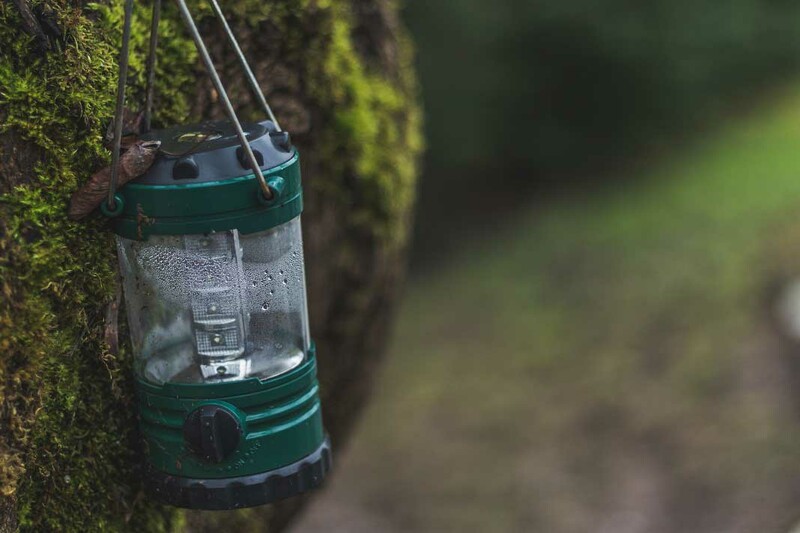 It is a high-quality and rechargeable camping lantern with a smart protection chip to keep the lantern from overcharging. In addition, the light still works while charging. Cons: The plastic hanging clip is too weak to attach it to the wall and it’s easy to pull off. I wish that the producers will add a red LED light in it. 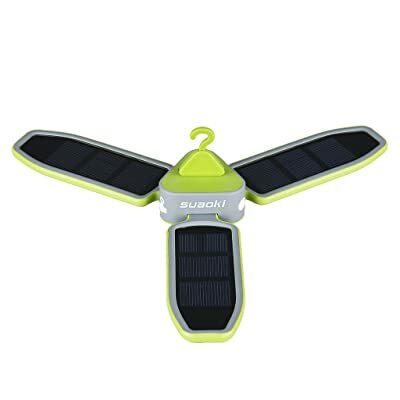 Features: 1100 lumen, Weight 1.88 pounds, Dimensions 7.8 x 3.8 x 3.8 inches, Spring-loaded, Incorporated d-rings, Portable USB charger, Rubber cover. Pros: First of all, I extremely adore the concept of this lantern. It’s durable, waterproof and small enough to put in your pocket. Interestingly, it’s a must-have item for whom does nighttime fishing on boats because it floats. 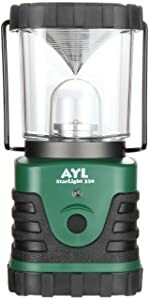 To be honest to say, it is the best rechargeable camping lantern ever. Pros: It’s used in diverse circumstances, super bright of 185 lumens brighten a room, dim for a nice reading and flashing red offers easy visual alerting from far distances. Moreover, it is water resistant and durable. In general, it exceeds my expectation and operates longer than imaginable. Cons: I’m not really into its design. It would be better if they add more colors. Features: dimension 7.6’’ x 7.35’’ x 16.3’’, Dual fuel power, Extra-bright 800 lumens, 3-year limited warranty, Made in the USA. Energy source: Fuel, Runs on Coleman Liquid Fuel or unleaded gasoline. Pros: It’s amazing when using it in the winter to stay warm in a tent. Furthermore, it’s easy to light and prime. Cons: I’m not a big fan of traditional lanterns as they could be dangerous if the fuel pours out. This indicator is worth to be noticed. 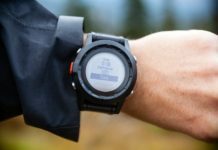 You should pick out the one that is able to deliver at least 8 hours of light on a single charge. This will guarantee that you have sufficient light supply during the entire camp or emergency affairs. An excellent lantern will offer various lighting modes and settings for the brightness of the light. Additionally, you should go for lanterns which have smart protection chips to protect lantern from overcharging. 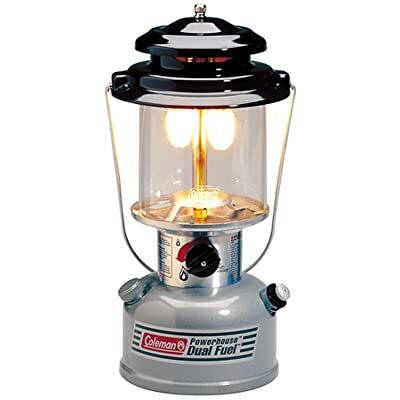 Rechargeable lanterns are usually slightly larger compared to other types of lanterns. These features facilitate the users to take the lantern around with one hand, especially when your another hand is busy with grilling barbeque. Normally, these lanterns are accompanied with sturdy handles or built-in hooks in order to support users in hanging it on a tree branch. Rechargeable lanterns will be perfect for you when you’re hiking or trekking as they are solid and lightweight. 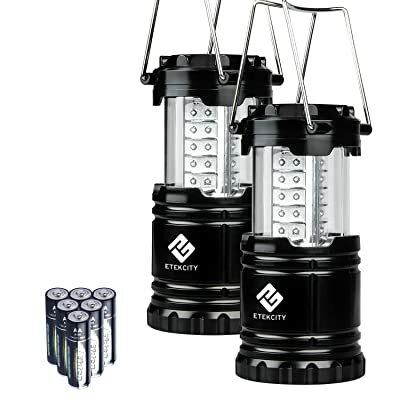 If you are living in areas where power outages happen regularly, you can light up your house with these lanterns. In addition, chargeable lanterns outstrip its competitors, as it’s portable and easy to fill the power. The advantages: If weight and the light level aren’t counted, gas-powered lanterns are the best. There are two kinds of gas-powered lanterns: liquid fuel and propane. The liquid fuel-used lanterns are considered to be the brightest lanterns. The propane-used lanterns are usually costly and weightless. It is effortless to use, all you need is screwing the lantern onto a fuel canister, then light it up. Easy, right? The disadvantages: Gas-powered lanterns require us to bring along fuel when we’re camping or thru-hiking in a long period of time, it’s dangerous and inconvenient at the same time. The users could get into trouble if the fuel pours out, in the unluckiest situation, it could set a fire and damage the users. In addition, it requires us to pump the fuel regularly whenever it’s out of energy. What is more, it’s also too heavy and cumbersome to handle during a long period and it just lights up in a certain level. Tips: Both gas-powered lanterns and propane lanterns make use of mantles which are small fabric bags covering the burner and crucial for light production. It’s absolutely worth having extra mantles to make sure the lanterns run well. Moreover, you should choose the fuel which is the same as your backpacking stoves, hence, you don’t need to fuss over choosing various kinds of fuel. It’s important to note that the gas-powered lanterns produce a great amount of heat, therefore, you should take care of nearby flammable materials and your children. Electric lanterns utilize an electric power source to light up the LED light. What makes an electric lantern different from other type is the type of power source, their weight, and size. Electric lanterns are mostly chosen for its convenience in recharging the batteries and its diverse type of sizes. Alkaline batteries are known as the most used power source as it’s fairly cheap, reliable and simple to swap out. Its drawback is the added cost once the batteries die. In general, electric lanterns are highly beneficial as they are cheap, safe, lightweight and also long-lasting. However, electric lanterns are not a perfect choice for cold temperatures because the low temps obstruct the electricity-producing chemical process taking place in batteries. On the whole, IPX-0 rating means it’s unable to be waterproof, while IPX-8 rating stands for its complete water ingress protection up to 3 meters. For casual use, an IPX-4 rating is sufficient. Please be noted that water resistance is not the same as waterproof. Battery lanterns don’t perform well in cold and freezing conditions. Longevity is one of the most vital factors when buying a camping lantern. You should purchase a lantern that was made from strong materials. Another thing to remember is that no lantern is considered as waterproof when its manufacturer stated it. You have to pay attention if you’re using a gas lantern in the rain as the glass could break if water pours into the lantern. In addition, be aware of the glass globe as it could be extremely hot and cause serious burn because a single mantle could give off more than 300 watts of light. Even though the battery camping lantern can’t do its best in cold conditions, the best lantern to utilize in a tent is a battery style. 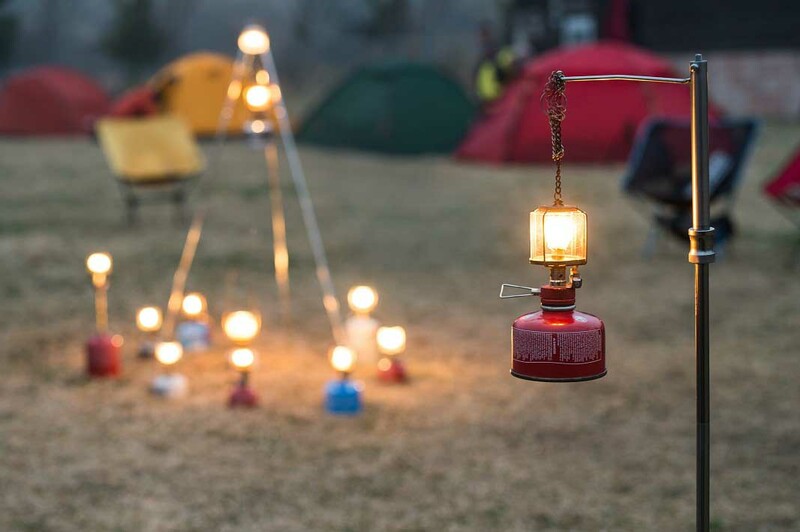 Generally speaking, if you want to choose the best camping lantern, you should pay attention to its weight, energy source, durability, water resistance. Hopefully, after reading this article, you could grasp some fundamental knowledge about several types of the lantern and apply some useful tips above to choose a high-quality lantern. Hope you have meaningful and enjoyable moments while camping with your beloved friends and family. Previous articleCamping In The Rain Tips, Checklist and Things To Do | Let’s Find Out!